All eastbound and westbound streets entering the above roads will be closed one block east and west. Select parking restrictions will go into effect on Wednesday evening, November 21. Motorists are asked to observe all posted parking restrictions and traffic detour signs in the area of the race course and to seek alternate routes. Vehicles in violation of parking restrictions will be ticketed at the owner’s expense. 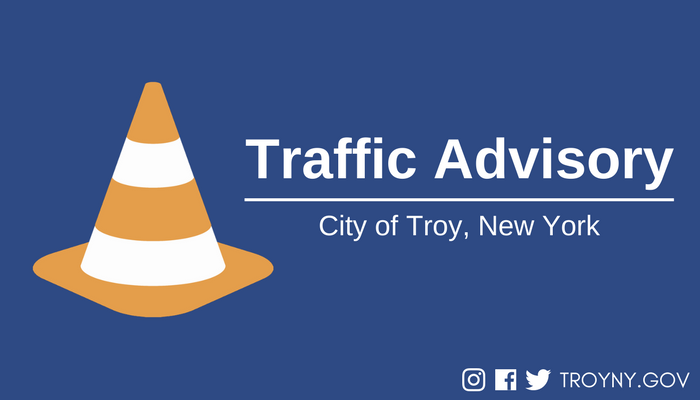 Vehicles towed from south of Hoosick Street will be relocated to the Sage parking lots (intersection of River Street and Division Streets). Vehicles towed from north of Hoosick Street will be relocated to the Knickerbacker Ice Rink (191 103rd Street). Vehicles parked in the Uncle Sam Parking Garage will be unable to leave until the race event has concluded and roads are reopened.